The world’s leading trade fair for components, systems, and applications in photonics takes place from June 24 to 27, 2019. Together with the World of Photonics Congress, research and industry unite in their quest to promote the use and further development of photonics. Come to our trade fair stand and find out more about solutions for photonics, robotics, microscopy, and industrial automation. We hope to see you soon and wish you a pleasent trip! 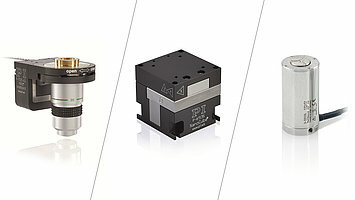 PI's piezo flexure stages combine sub-nanometer resolution and guiding precision with minimum crosstalk. This makes them particularly suitable for applications in metrology, for super resolution microscopy and many more. Piezo scanners take care of fast, continuous scanning tasks, where durability, dynamics, and precision matter. 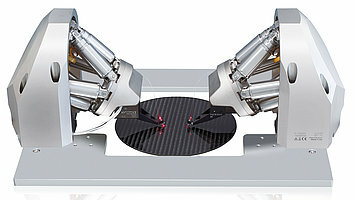 The larger travel ranges are realized with XYZ combinations or 6-axis hexapods. 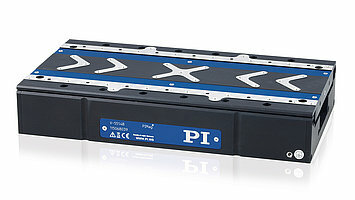 PIMag® Magnetic direct drives enable a continous highly dynamic and precise motion with long travel ranges and are suitable for industrial applications which require a 24/7 operation.